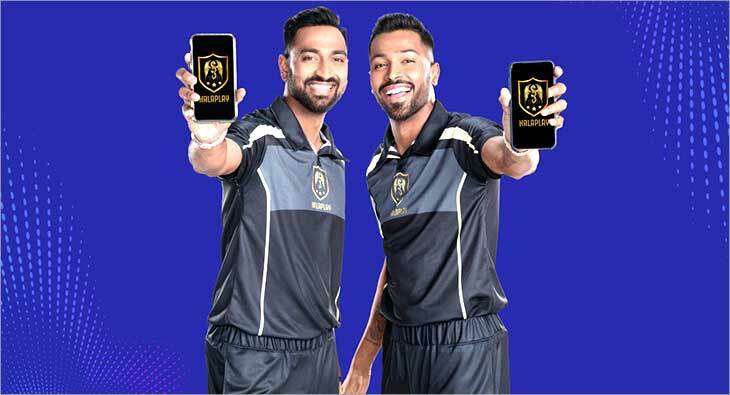 Online daily fantasy sports platform HalaPlay Technologies has appointed Krunal and Hardik Pandya as their brand ambassadors. The cricketer brothers will officially represent the platform going forward. HalaPlay is offering winnings up to Rs 100 crore on their fantasy sports platform this cricket season. Players get an opportunity for big wins, making the game potential even more exciting. Fantasy sports is largely structured as paid competitions, typically referred to as contests enabling the winners to receive a share of a pre-determined pot funded by their entry fees. In the case of HalaPlay, they have chosen to do away with the platform fee. Talking about the association, Hardik Pandya adds “What excites me the most about this association is that it keeps me motivated to ensure that my fans continue to choose me to be on their HalaPlay team and I get a chance to fulfill their expectation as an all-rounder. Krunal Pandya comments, “Fantasy sports is new and exciting in the modern day digital sporting world. Playing on HalaPlay gives me an opportunity to go beyond the field to the small screen and connect with millions of cricket loving fans. “It is important for our audience to know that they can invest their time and money in a place where they will get legitimate results. That is why we have recently changed our product from a fixed fee to a zero platform fee model. Now HalaPlay users don’t have to pay any platform fee and this will give our gamers the winnings they deserve with the thrill of game play” he adds. This new mode of gaming in India already has a fan base of more than 20 million today and the Indian fantasy sports industry is worth Rs 43.8 billion, it is estimated to reach Rs 118.8 billion by FY23 according to the Indian Federation of Sports Gaming (IFSG) and KPMG report. HalaPlay recently received Rs 40 crores in their Series-A round of funding from Nazara Technologies Ltd. and Delta Corp Limited.